Have more fun with your clothes on! When your goals match your appearance, you look and feel more confident, authentic, attractive and empowered. Marian Rothschild is an award-winning consultant and personal stylist in Denver and Boulder, a Certified Personal Image Consultant, Speaker, and Best-Selling Author of Look Good Now and Always. Update your appearance visually, head-to-toe and authentically, from the inside, out. Upgrade business casual with intention and consistency for put-together polish. Dress for success in your most flattering colors, cuts, and styles for increased influence. Master verbal and nonverbal communication skills for a sharp, smart, professional image. Corporate Training workshops to empower your team with polished leadership presence. Private Clients: You’ll start by doing prep work which is emailed to you. A Color, Style, and Wardrobe Consultation is our first meeting. Then we shop for what fits, flatters, what you need and love. I’ll assemble and photograph your great outfits for a Look Book photo album. If needed, we proceed with verbal and nonverbal communication coaching. Ladies get a makeup lesson to complete your updated, confident image. All services available a la carte, but packages are recommended for a lasting transformation. Call your your free 30 min. phone consultation: 720-933-9247. Private Coaching: Skype or in person, Look Good Now Image Consulting offers coaching on verbal and nonverbal communication and presentation skills for increased influence and polished presence. All Denver image consulting services are also available a la carte. Please see our services page for more information, and call 720-933-9247. Corporate Clients, Associations, Speaking Events: Look Good Now Image Consulting does a complete intake analysis and sets workshop, presentation, and/or consultation dates. All programs are custom tailored to your needs. Topics include: Professional Image, Verbal and Nonverbal Communication, Presentation Skills, Personal Branding. Call to book your image appointment with Marian at (720) 933-9247 with Look Good Now Image Consulting, view our image packages here, or click here to book a virtual makeover now and start your style transformation. 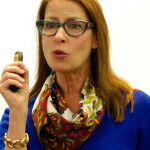 Marian Rothschild of Look Good Now Image Consulting serves the Denver and Boulder, CO, areas for image consulting with men and women, is an award-winning author and national speaker on professional and business image. Marian Rothschild of Look Good Now Image Consulting is an image consultant offering makeup tutorials, virtual makeover, and how to dress for success in Denver and Boulder.